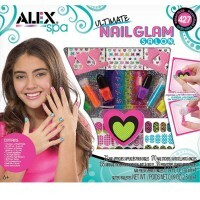 Create nail styles with over 270 mani-pedi essentials from Alex Nail Glam Salon kit! 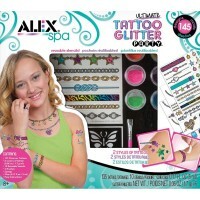 Girls love doing their own or their friends' nails during playdates or sleepover parties. 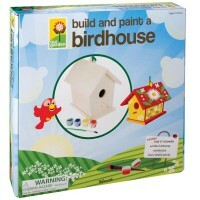 It's creative girly activity that inspires design skills, imagination and promote social skills. 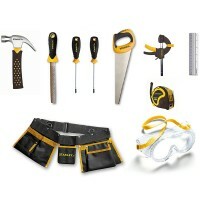 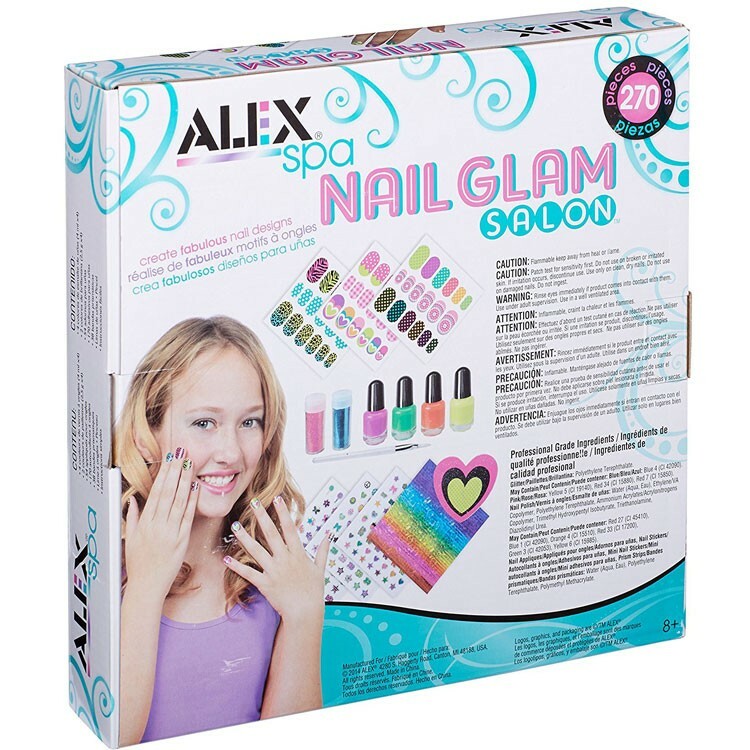 Open your own home nail salon with the updated Alex Nail Glam Salon Girls Craft Kit. 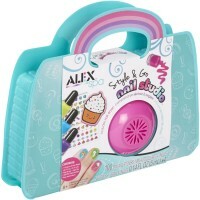 This mani-pedi kit features more than 270 pieces to create unique nail designs. The nail salon craft kit includes 4 real nail polish of girls' favorite bright colors (4ml each), 2 colors of glitter, 54 appliques, 170 nail stickers, 10 nail jewels, 38 rainbow strips, nail file, glitter brush and detailed instructions. 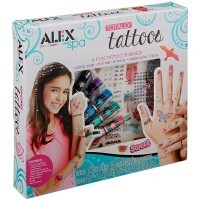 Paint, layer, create designs, stick and file the 72 nail appliques. 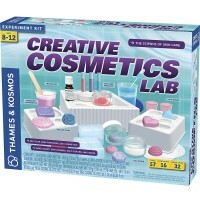 No drying time or nail polish smudging! 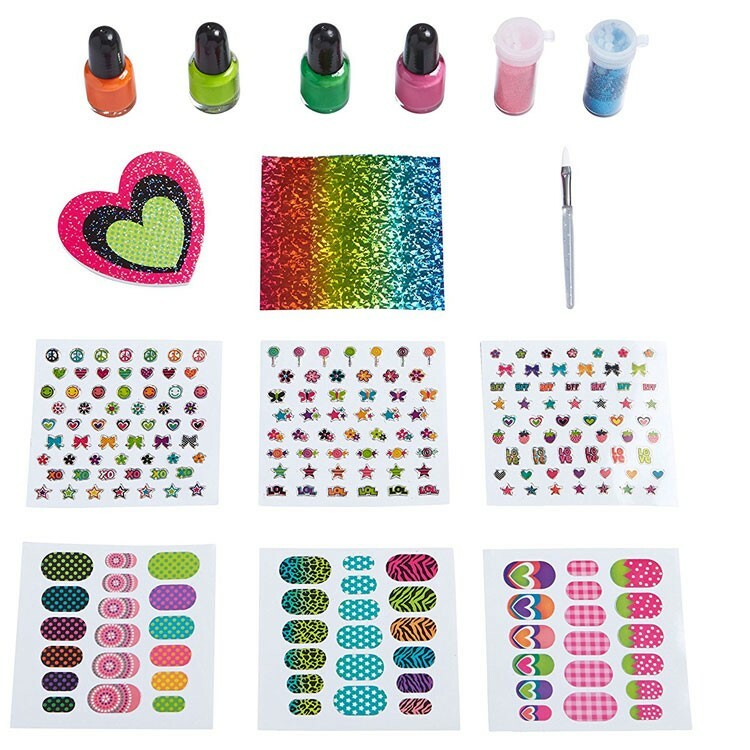 With this Educational Toys Planet's girls ultimate nail kit create fabulous nail designs with bright color nail polish, glitter, jewels, rainbow strips and special nail stickers. 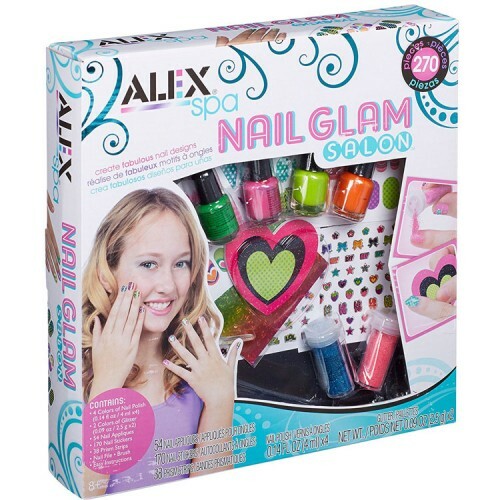 Dimensions of package 2" x 10" x 10"
Write your own review of Nail Glam Salon Girls Craft Kit.